Location: Here 87330 and there .. Sort of bike related. I noticed from a recent post that as well as 2CVandy, motocycliste is also a 2CV owner. 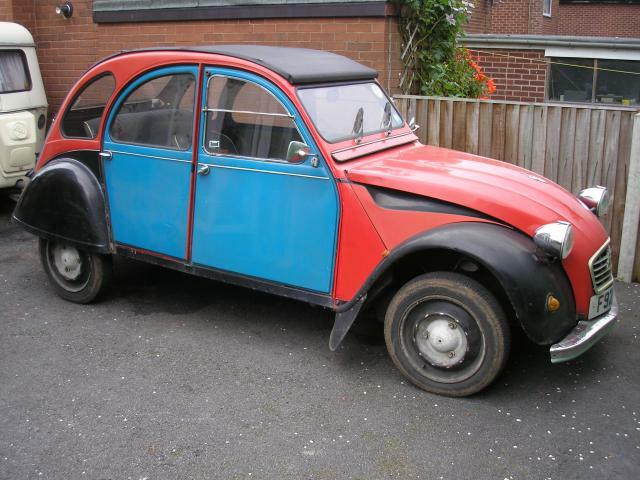 I am an ex 2CV owner and a UK biker mate still owns one. Is it because we are bikers that we are attracted to this quirky french auto? I just wondered how many on here are also current or ex owners. I had one in the past as well. Life can only be understood backwards but must be lived forwards. Seren Kierkegaard. I used to deliver new ones in Scotland, and considered buying my neighbours one last year. Had a friend with the 'hatchback' 2CV - the Dyane. My word it was basic. I remember it being draughty and so cold as fuk in the winter, really not pleasant motoring. Maybe cool for popping out to the boulangerie of a summer's evening but not one for the M4 in January. Mountains are for riding up and skiing down! I used to detest working on them, mainly because they were usually in a horrible neglected condition and invariably had lots of sharp edges ready to remove skin and draw blood. Now that I actually own one I have come to admire the clever design and construction. What year is it? 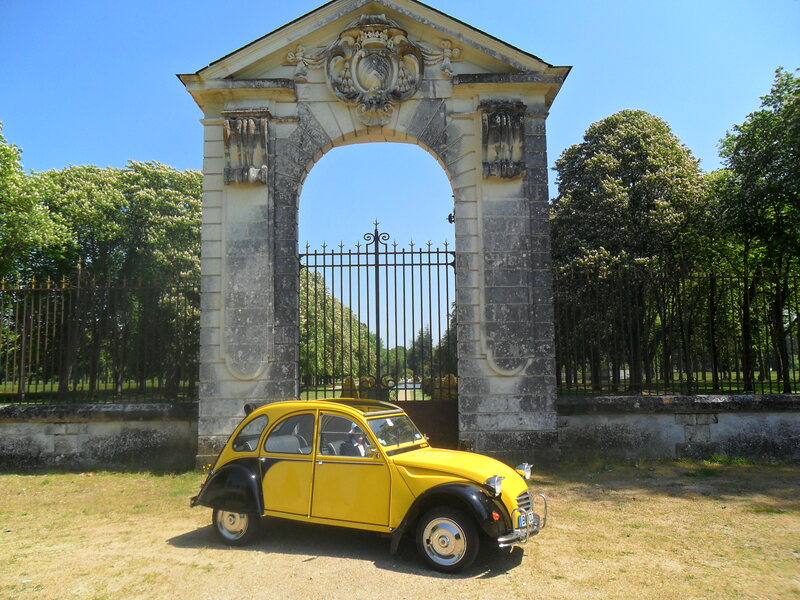 When I was a child my dad bought a 1954 435cc 2CV4. It was a wonderful thing with the centrifugal clutch and wipers that worked off the speedo drive. My own, years later was the full power 602cc. Mine is a modern one, it has electric window wipers! I have to keep it in the warm garage. If I left it out in the rain I’m sure that it would dissolve rather rapidly as did most of them. A warm garage is the one of worst possible place to keep something prone to rust. 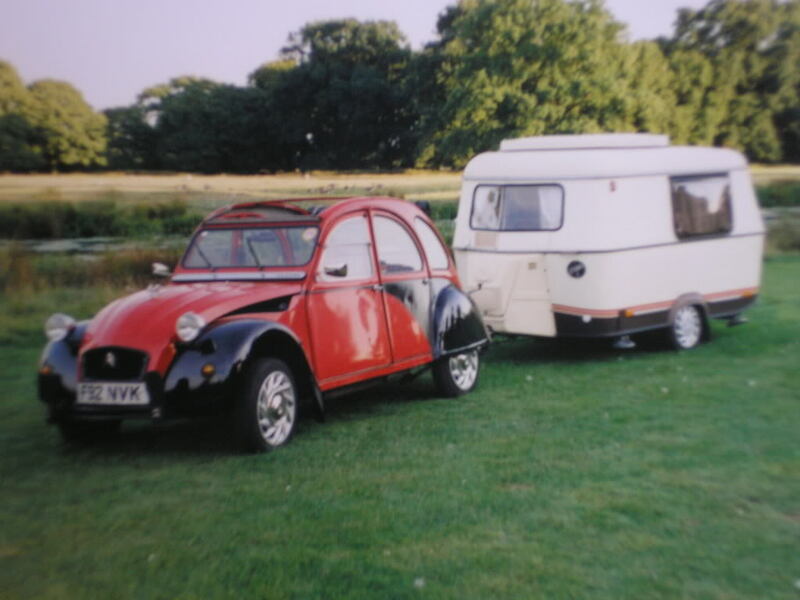 I've had lots of classic cars over the years, including Rolls, Bentley, Cadillac, Humber, Rover,,,,,,, all big luxurious barges really, and the 2CV wasn't bought as a classic, just cheap transport. But 23 years later, it's the only one I still have, far longer than I've ever kept any bike, and it still makes me smile every time I drive it. Luckily, we were planning the move over here about that time, so obviously she had to be restored and come too, now she lives a life of luxury in a de-humidified garage, age has it's priviledges. and the heater's toasty BTW, they just need adjusting between summer and winter settings to get the best out of em.